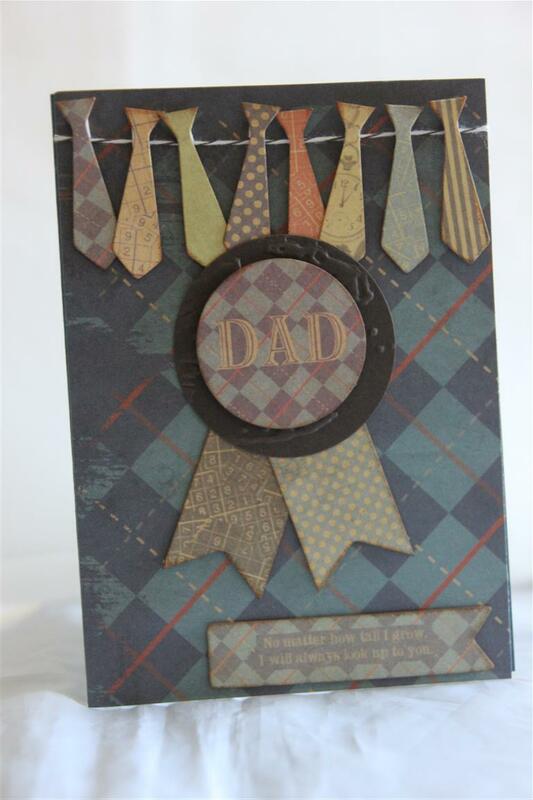 Fathers day is not too far away, so I have been making a few fathers day cards. These two are made with a Close to my Heart stamp set.. I haven’t tried this company before, and I am quite impressed with quality and price. 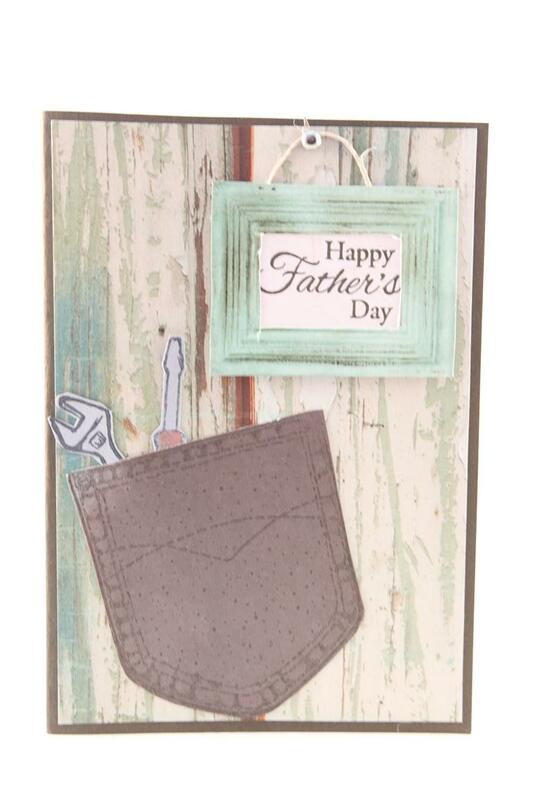 The set includes quite a few stamps,including the bow tie and moustache on the bottom card, and the bottle of Pop on the top card.The papers I used are from Stampin Up, an older designer series called confetti celebration. 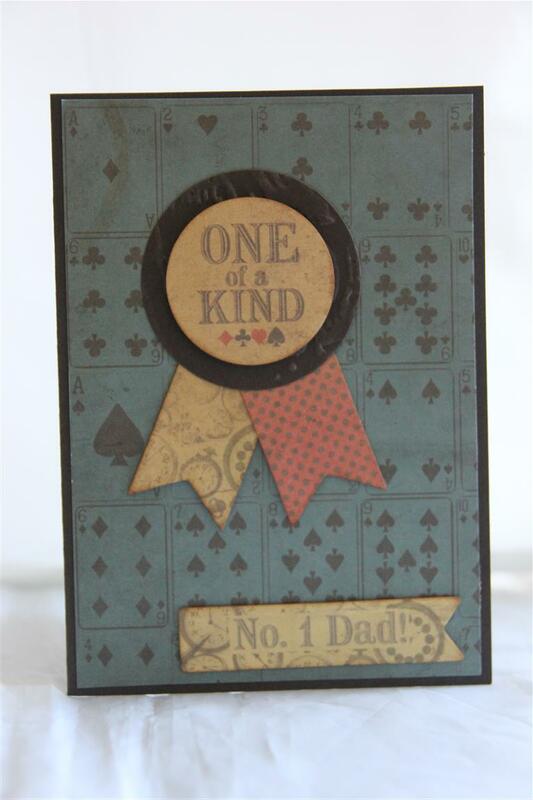 Another new purchase I was trying out is the Enamel Accents on the top card. These are little bottles of liquid which drops out of the bottle beautifully and hardens like enamel. They take a while to dry, ideally left over night. I have a few colours, and very tempted to buy some more! I coloured the bottLe of Pop with copic markers,and didn’t need to colour the bottom card ..that’s how it stamped out. Til tomorrow…..
Quick post today, Graphic 45 Safari Adventure.I layered a piece of the green patterned paper from the collection onto my card base, trimmed back the image, fussy cut a tag from another piece of the collection,and stuck on a button ( which looking at the photo appears to have slipped down a bit – will have to check that!Meanwhile imagine the button on the top of the tag!! )Til tomorrow…. 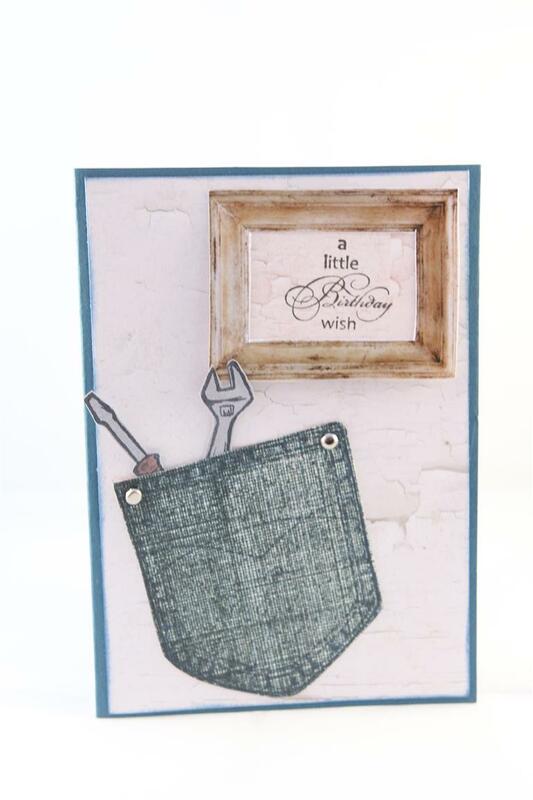 I had the idea for this tool box card,and spent a little time working out the cuts and folds, it is a basic side stepper card,with only one side step – usually you have a couple of steps on the right hand side, but this one only has the one valley fold. I cut matching cardstock for the drawers on the left hand side, and added a fine strip of silver cardstock to the tops of the drawers. On the right hand side i cut a piece of yellow cardstock and punched holes to resemble pegboard, then it was just a matter of stamping ( stampin up tools stamps) my tools.Really pleased with how this one worked out and hopefully find some time to make a couple more before my craft fair in June! This morning I dropped our little puppy Luna off at the vet for her desexing operation, and I feel terrible!I hope she forgives me! the house is very quiet without her and I can’t wait to pick her up this afternoon.I am heading into the craft room to take my mind off it all…til tomorrow…. The other day Nathan brought me some old floppy discs and asked if I could recycle them. Why, yes.Yes I can. 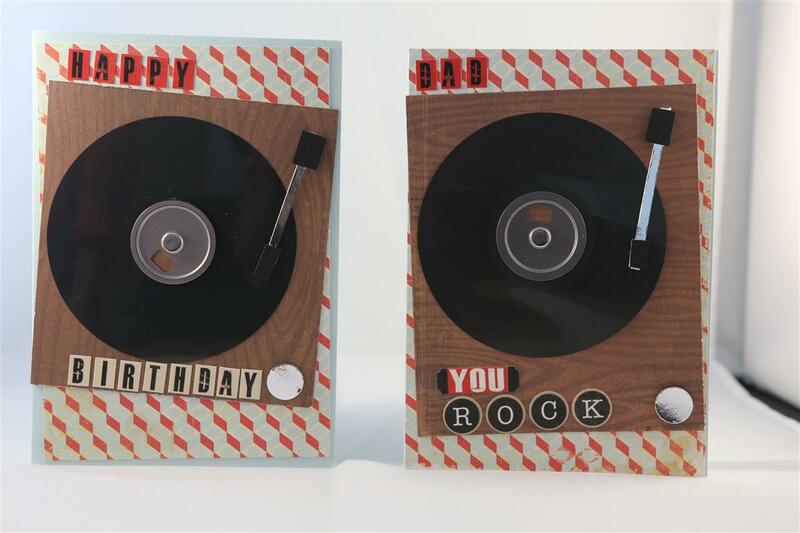 Inside the plastic cover ( which I prised open with a pair of scissors) was this floppy ( the floppy in the name floppy disc) which looked to me just like a miniature record, and so this card idea was born. The papers I used were Crate paper toy box, and I made the record player needle and arm from some silver and black cardstock. there is a silver brad in the middle of the “record” and I punched a silver circle for a volume button. The letter stickers are from the same paper collection. Hopefully Nathan finds more discs, because I really enjoyed making these cards! Til tomorrow…..